The Academy has revealed to its members that the Best Cinematography, Best Film Editing, Best Live-Action Short Film and Best Makeup and Hairstyling categories at this year’s Academy Awards will be presented during commercial breaks. The categories will be handed out during breaks in the show, and then “slightly edited” and inserted into the broadcast. The original presentations will be streamed live on Oscar.com and on Academy social channels. The change was announced to Academy members in an email from AMPAS president John Bailey. The move was approved by the Board of Governors in August last year, with the understanding that the affected categories would be rotated each year. (Another move approved by the board at that meeting, the introduction of a “Popular Oscar,” was later tabled for more study.) According to one person with knowledge of the discussions about this year’s categories, Bailey offered up his own category, cinematography, as one that would be taken off the telecast this year, although that move would have needed approval from his branch’s executive committee. 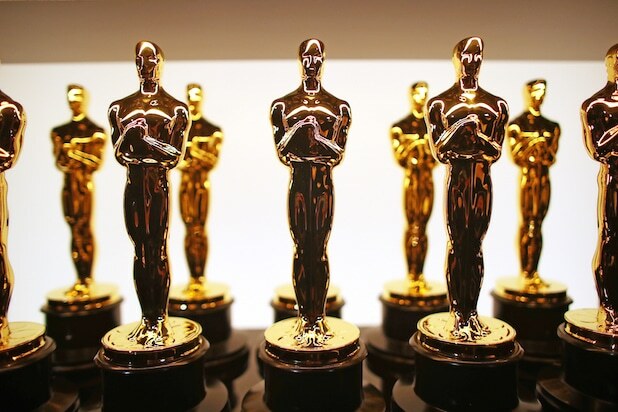 Bailey’s email states that the executive committees from six of the Academy’s 17 branches agreed to have their categories affected, with four of the six chosen for the this year’s Oscars. Those four branches, said Bailey, will be exempt from having their categories moved off the air next year, when an additional four to six categories may undergo the same fate. “Viewing patterns for the Academy Awards are changing quickly in our current multi-media world, and our show must also evolve to successfully continue promoting motion pictures to a worldwide audience,” Bailey wrote in the email. The favorite in the Best Cinematography category this year is “Roma” writer-director-editor-cinematographer Alfonso Cuaron, who has made Oscar history as the first person nominated as director and cinematographer for the same film. He could make additional history if he wins. Both cinematography and film editing are considered key categories, with film editing being one of the main categories used to identify true Best Picture contenders. The Academy did not address the logistics of handing out Oscars during the breaks, a time when stagehands are typically resetting the stage and the aisles are clogged with guests leaving and returning to their seats. The plan to move some of the categories off the air has prompted a Twitter hashtag, #PresentAll24, urging the Academy to reconsider. Viewing patterns for the Academy Awards are changing quickly in our current multi-media world, and our show must also evolve to successfully continue promoting motion pictures to a worldwide audience. This has been our core mission since we were established 91 years ago–and it is the same today. While still honoring the achievements of all 24 awards on the Oscars, four categories — Cinematography, Film Editing, Live Action Short, and Makeup and Hairstyling – will be presented during commercial breaks, with their winning speeches aired later in the broadcast. Actor John David Washington and director Spike Lee, "BlacKkKlansman"
Chadwick Boseman and Michael B. Jordan, "Black Panther"
John David Washington, Spike Lee and Adam Driver, "Blackkklansman"
Writer-director Barry Jenkins, "If Beale Street Could Talk"
Actor-writer-director Bradley Cooper and actor Sam Elliott, "A Star is Born"
Director Peter Farrelly, stars Viggo Mortensen, Mahershala Ali and Linda Cardellini, "Greenbook"
Actor Mahershala Ali, "Green Book"
Composer-songwriter Marc Shaiman, "Mary Poppins Returns"
Songwriters Scott Wittman and Marc Shaiman, "Mary Poppins Returns"
Director Yorgos Lanthimos, "The Favourite"